I am going to focus on the new features of VSI 6.1 for this post, so that means the requirements for direction provisioning from a VNX or VMAX array and the proper deployment and configuration of VSI itself. SIS to storage array controller, the exact port however depends. So there are two things to glean from this. First the VSI web client NEVER directly contacts the storage management interfaces–it only needs to be able to talk to SIS. The SIS (VSI vApp) is the intermediary for all of the communication, registration and provisioning and user access control. Secondly, for the VMAX, VSI 6.1 only currently supports non-SSL communication to SMI-S over port 5988. It does not currently support SSL over port 5989 or non-default ports configured on SMI-S (this is as far as I know–I have not found a workaround yet). If you check the product guide you may notice that some of this information is not there and some of it is slightly wrong. The guide states that these ports need to be open between vCenter and the storage controllers, but as I have noted here it is actually between SIS and the storage controllers. The documentation is going to be corrected and a KB article is being written as well to explain the requirements. Let me know if I missed something or you have any questions! 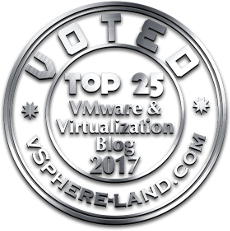 Previous PostVirtual Storage Integrator for vSphere Web ClientNext PostCongrats to all of the 2014 vExperts!